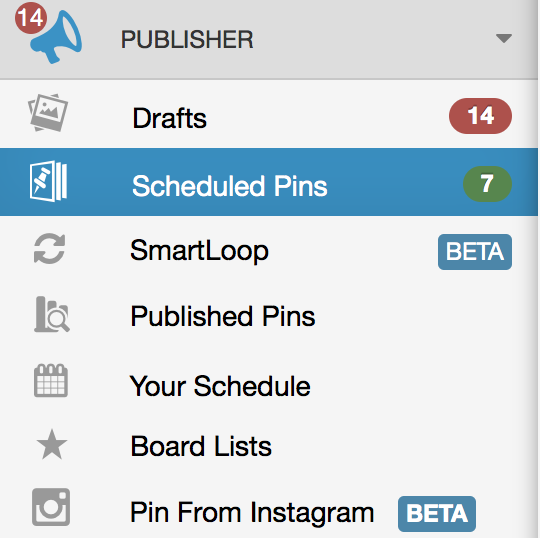 How do I publish a Pin immediately and not schedule it? Use the Pin Now button to Pin right away without scheduling. Once you’ve scheduled a Pin you can still change your mind and Pin it now instead of waiting for the scheduled time. It will still be published to the boards you have selected with the correct URL and description. Luckily, the Pin Now button is even available if your free trial has run out, so you can still publish pins through Tailwind using this method! 2. Under Scheduled Pins on the Left-Side, navigate to the desired Pin. 3. Hover over the Pin icon to the right of the Pin you wish to publish now. 4. Click the second option, “Pin Now”. Your scheduled Pin will then disappear as it has been published to Pinterest- neat! Helpful Tip: Once this Pin has been posted to Pinterest the timeslot it was in will remain empty until you schedule another pin to it or "Condense your Pins."